The first reaction to the Brussels massacres among postmodern European intellectuals was predictable: What did we, Europeans, do to them, our Muslims? How could followers of a religion that is proudly called “the religion of peace” commit these kinds of atrocities? People like Peter Vandermeersch, the Belgian editor-in-chief of Dutch newspaper NRC-Handelsblad, and Belgian writer David Van Reybrouck, both accomplished intellectuals, argued that Belgium must have done something terrible to deserve this. Their line of reasoning: The terrorists’ fury must be a reaction to their inhumane treatment at the hands of the West. On hatred of Jews and homosexuals among Europe’s Muslim population, Koopmans finds: “Almost 60 percent reject homosexuals as friends and 45 percent think that Jews cannot be trusted. While about one in five natives can be considered as Islamophobic, the level of phobia against the West among Muslims — for which oddly enough there is no word; one might call it ‘Occidentophobia’ — is much higher still, with 54 percent believing that the West is out to destroy Islam.” Recorded rates of Christian hate toward Muslims hover around 10 percent. “Occidentophobia” is an interesting term. It expresses a refusal to accept the essential concepts of life in the West. Young men like the perpetrators of the Brussels attacks have refused to embrace the social codes of Belgian life. They were raised on the idea that their religious ethics trump the ethics of the infidels (close to non-existent, in their eyes, in any case). Their second-rate socioeconomic status was therefore a humiliating affront, an indignity to be destroyed. 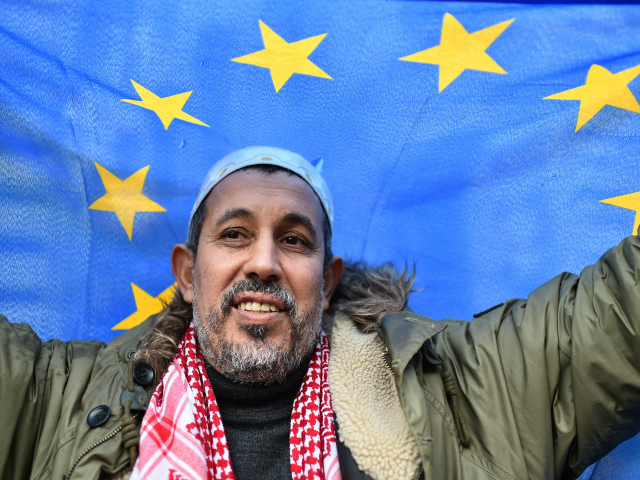 Muslim integration into Europe societies is successful when Muslims are willing to give up the mental confinement of their home countries — countries, let’s not forget, which they left in search of a better life. For as long as they refuse to adapt to a European state of mind, they will perpetuate resentment and a culture of violence. Read Leon De Winter’s piece in full here.